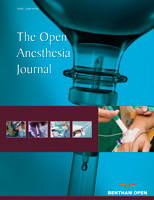 Harvard Medical School, Staff Anesthesiologist, Department of Anesthesia, Critical Care and Pain Medicine, Massachusetts General Hospital, Boston, MA, 02114, USA. Bony exostoses such as mandibular tori are fairly common. They are asymptomatic, benign cortical bony protuberances occurring along the lingular aspect of the mandible. Large tori may interfere with direct laryngoscopy resulting in difficult intubation. This is a case report about a 66 year old, Caucasian male with a Mallampati class I airway who was un-intubatable initially, due to the presence of bilateral mandibular tori that formed a plate of bone beneath his tongue. He was intubated subsequently with the help of an Eschmann bougie.